You should type this address in the address bar in browser. 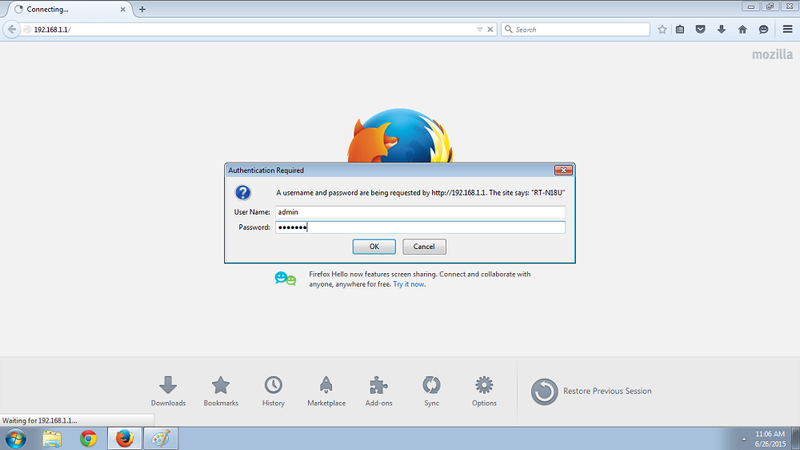 The window will prompt and will ask for username and password to access the control panel. Use your set username and password. If you have never changed the password, the credentials should be: admin/admin or admin without password. 2. 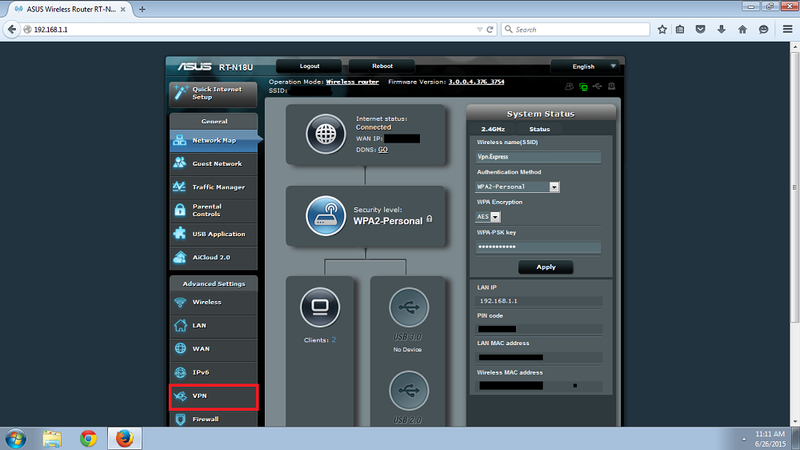 After you are logged in to the Control Panel you should go to the VPN tab on the left side of the window. 3. 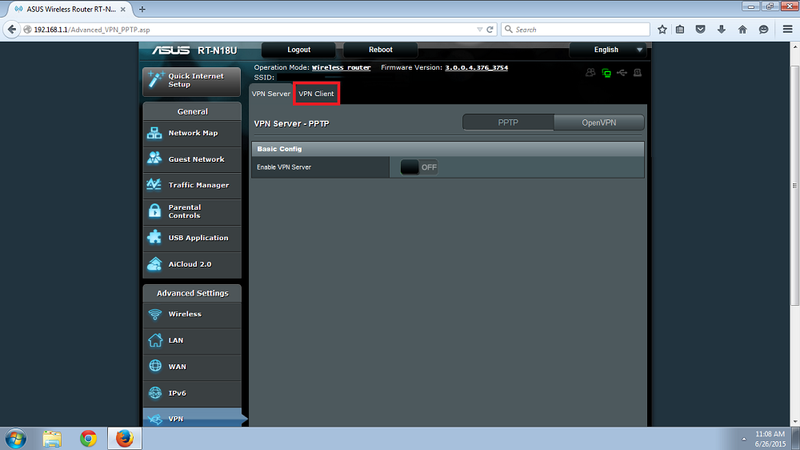 Click on the VPN Client in the opened window. 4. Click on Add profile button at the bottom of the window. Click Ok to create the connection. You can create as many different connections as you like but use only one at a time. 6. 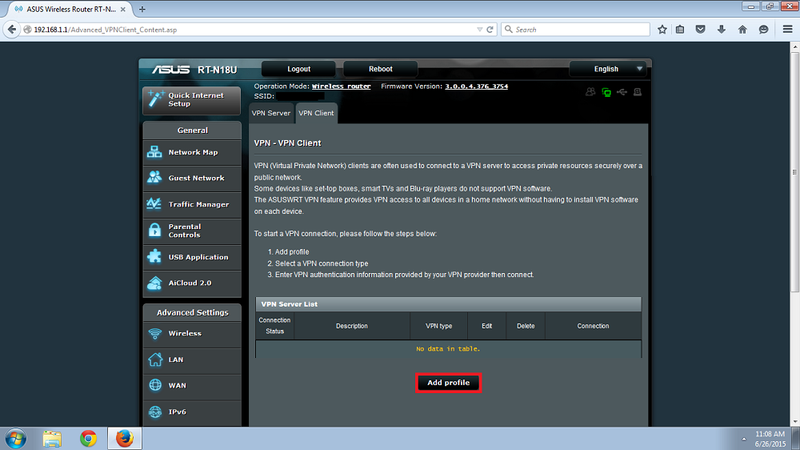 In the VPN Client tab you will see the created connection. 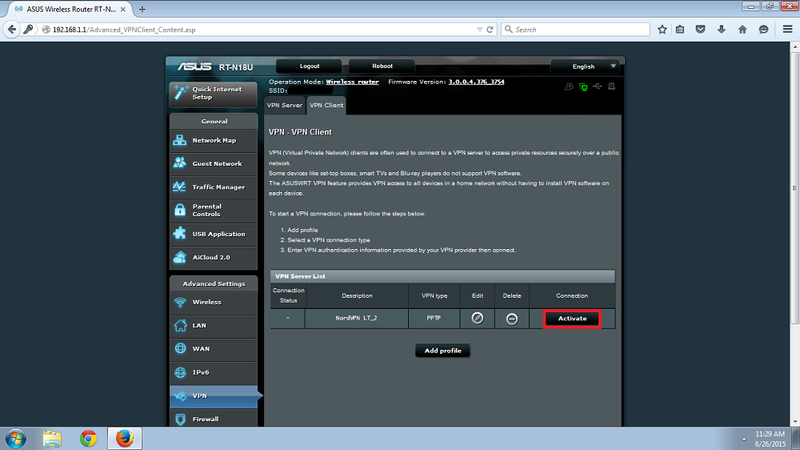 Click on Activate button to connect your router to VPNExpress . 7. The blue check mark should appear in the Connection Status column. That means that you are connected to VPNExpress . 8. 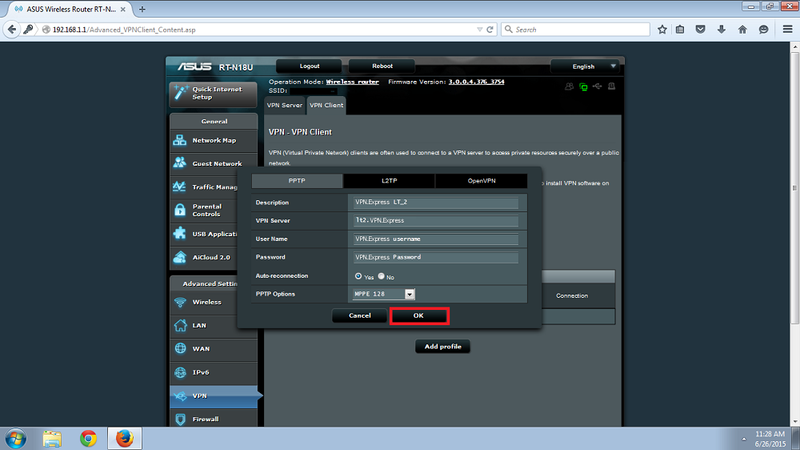 You can check your IP address at vpn.express in the topbar. Please make sure the webpage is refreshed and not loaded from cache. To disconnect from VPNExpress simply click on Deactivate button which appeared instead of the Activate button when you have connected. © 2016 - 2019 VPN EXPRESS. All Rights Reserved.